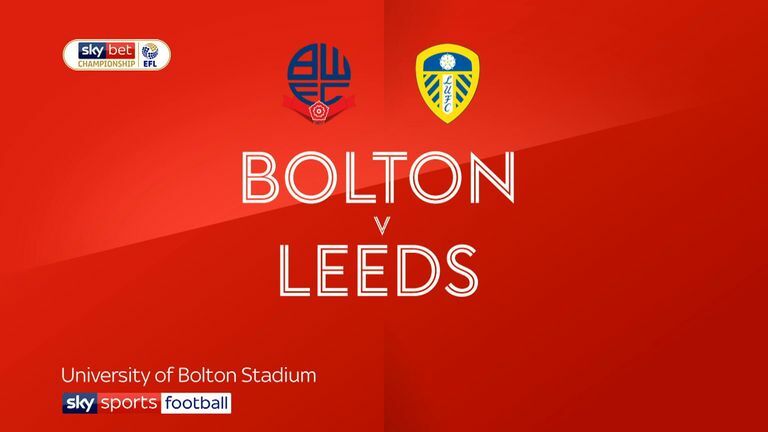 Highlights of the Sky Bet Championship clash between Bolton Wanderers and Leeds United. Patrick Bamford marked his return from injury by firing Leeds to a 1-0 victory at struggling Bolton. The 25-year-old striker struck his first league goal for Marcelo Bielsa's side five minutes after coming on as a second-half substitute. 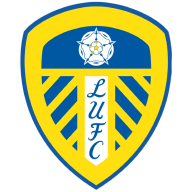 Bamford, a £7 million recruit from Middlesbrough last summer, had not featured for the Elland Road outfit since August 31 due to a knee injury and his 66th-minute winner temporarily lifted Leeds above Norwich and to the top of the Sky Bet Championship. 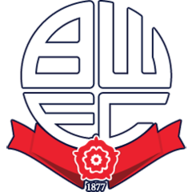 Troubled Bolton remain in the bottom three having won only once in 18 games. Defeat ended another controversial week for the Trotters, whose players finally received their delayed November wages and chairman Ken Anderson banned the local paper's Wanderers correspondent citing "negative" reporting. Manager Phil Parkinson also continues to be linked with the managerial vacancy at former club Reading. Leeds went close to taking a third-minute lead. Ezgjan Alioski's left-wing cross was headed goalwards by Pablo Hernandez only for Ben Alnwick to tip the ball behind. But Leeds' attempts to fashion more opportunities were restricted by Bolton's hurry-scurry approach and the driving wind and rain. And it was almost another half an hour before the visitors threatened again. Alnwick once more came to Wanderers' rescue with a save low down from Mateusz Klich's effort that had direction but little power. Leeds began the second half playing towards their 4,577 fans in a crowd of 17,484 as they chased a fifth successive victory. However, it took the 60th-minute introduction of Bamford for Kemar Roofe to bring the Leeds travelling army back to full voice. Bamford, who had scored a midweek hat-trick for Leeds Under-23s against Burnley, made a quick impact on his return to the first team. And he rose to the occasion with a neat finish from 10 yards after a good approach by Hernandez to add to his Carabao Cup goal against Bolton four months earlier. Wanderers introduced all three substitutes in the closing 20 minutes as they looked to salvage a draw. And with nine minutes remaining the home side believed they should have been awarded a penalty, but referee Robert Jones ruled Kalvin Phillips' challenge on Craig Noone was a fair one. Jack Hobbs saw a goal-bound header cleared by Barry Douglas to deny Bolton an equaliser while Alnwick prevented Leeds doubling their advantage by saving Klich's long-range drive. Phil Parkinson: "The lads gave absolutely everything. I feel for them and they left nothing in the pitch at all. Leeds are a good side but we pressed them terrifically well. "We restricted them to very few chances. We just lacked when we closed them down and nicked the ball off them that bit of quality to find that pass to go and hurt them. We needed to have that bit of calmness when we had the ball. But I can't fault the lads in terms of effort and commitment." Marcelo Bielsa: "[Bamford] can be very important (for us). For him, it is very good for his confidence. He has worked very hard to gain his full fitness. And it's important to have two important strikers in our team. "It is very difficult to play in an offensive position for any team. And to have different possibilities. But we also have Jack Clarke, Jack Harrison, Tyler Roberts and Bamford in offensive positions. I always have the idea of having 18 starters in the team and also to have some youngsters to cover the necessities."